Hello there, here's another concept! 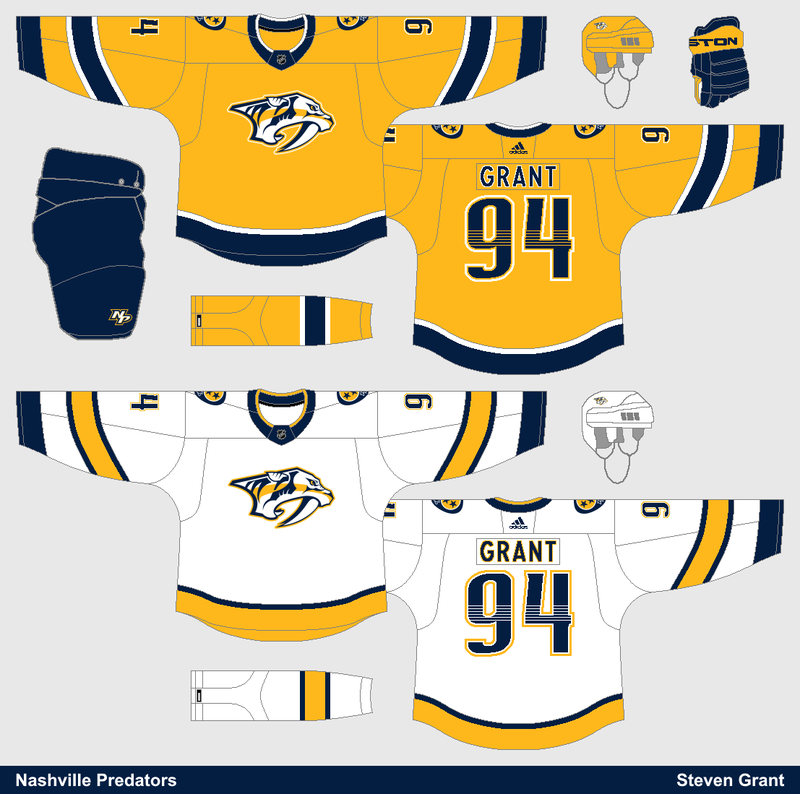 The Nashville Predators simplified their jerseys with the switch to Adidas, but they went too far and now their jerseys are bland. This concept is my attempt at keeping the simplicity of their new jerseys, while avoiding the blandness.